The Tempered Glass Lid is designed to fit on the 13-quart Nutri-Pot, letting you use your pressure cooker as a convenient slow cooker or even a stock pot. This lid includes a steam release vent, which helps to maintain the perfect temperature when cooking without pressure. 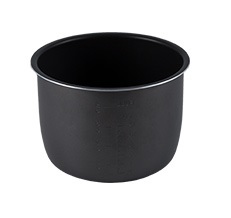 The heat-resistant lid includes a stainless steel rim for durabilityand a convenient handle. It’s even dishwasher-safe for easy cleaning. 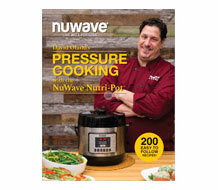 The high-quality Cooking Rack adds to the versatility of the NuWave Nutri-Pot. It lets you elevate foods for even cooking, canning and even baking. It doubles as a handy cooling rack if you’re not using it inside your Nutri-Pot. The scratch and rust-resistant rack is even dishwasher-safe for easy cleaning. 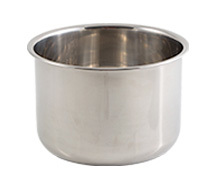 Made from durable premium grade stainless steel, the Stainless Steel Inner Pot will not only last a lifetime, it will also add to the versatility and flexibility of your Nutri-Pot. 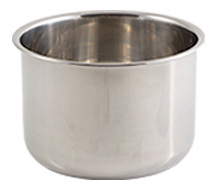 Whether you need a second cooking pot for increased productivity or you just want to upgrade your current pot, the Stainless Steel Inner Pot is just what you need. It’s easy to detach and dishwasher-safe for easy cleaning. It even comes with inner markings for easy and safe pressure cooking. 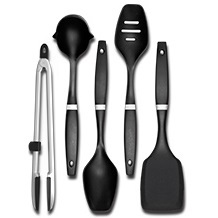 • Contains the Nylon ladle, Nylon spoon, Nylon slotted spoon, Nylon spatula and Tongs. 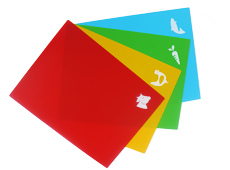 • Made from durable material and silicone handles, these are dishwasher-safe and easy to clean. 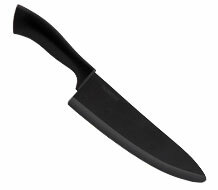 Handle all of your day-to-day cutting, chopping, slicing and dicing needs with the 6.5-inch Ceramic Everyday Knife. Quickly and easily chop, mince, dice and slice your favorite foods, including boneless meats, fish, vegetables and much more. The non-porous advanced ceramic material does not absorb or transfer any food residue or odors from one food item to another. The slip-resistant, ergonomic handle promotes a comfortable and highly controlled grip and reduces fatigue in the hand. Cleaning this knife is a breeze as well. Either hand-wash with a quick rinse or simply put it in the dishwasher and you’ll be all set. The Tempered Glass Lid is designed to fit on the 8-quart Nutri-Pot, letting you use your pressure cooker as a convenient slow cooker or even a stock pot. 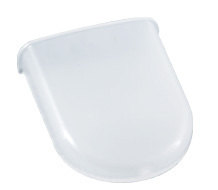 This lid includes a steam release vent, which helps to maintain the perfect temperature when cooking without pressure. 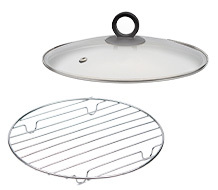 The heat-resistant lid includes a stainless steel rim for durability and a convenient handle. It’s even dishwasher-safe for easy cleaning. The high-quality Cooking Rack adds to the versatility of the NuWave Nutri-Pot. It lets you elevate foods for even cooking, canning and even baking. It doubles as a handy cooling rack if you’re not using it inside your Nutri-Pot. The scratch and rust-resistant rack is even dishwasher-safe for easy cleaning. The Tempered Glass Lid is designed to fit on the 13-quart Nutri-Pot, letting you use your pressure cooker as a convenient slow cooker or even a stock pot. 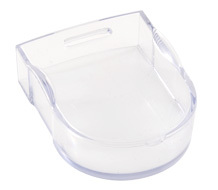 This lid includes a steam release vent, which helps to maintain the perfect temperature when cooking without pressure. 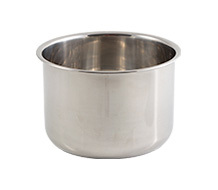 The heat-resistant lid includes a stainless steel rim for durability and a convenient handle. It’s even dishwasher-safe for easy cleaning. The high-quality Cooking Rack adds to the versatility of the NuWave Nutri-Pot. It lets you elevate foods for even cooking, canning and even baking. It doubles as a handy cooling rack if you’re not using it inside your Nutri-Pot. The scratch and rust-resistant rack is even dishwasher-safe for easy cleaning. 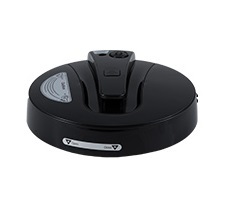 The NuWave Nutri-Pot Digital Pressure Cooker Lid comes with a sealing ring and a cap to ensure the Nutri-Pot pressurizes when locked in place. The Lid includes a built-in Quick Release Button and Float Valve to help maintain pressure and control venting. The stainless-steel Lid fits the NuWave Pressure Cooker seam to seam, and helps build up the perfect pressure. The hinged Lid opens and closes with ease and is easily detachable for easy cleaning. The Nutri-Pot’s Inner Pot is coated with a healthy non-stick coating which contains no harmful chemicals. It’s easy to detach and dishwasher-safe for easy cleaning. It even comes with inner markings for easy and safe pressure cooking. Made from highest quality food-grade silicone, this integral part of the Nutri-Pot creates a pressure seal between lid and pot. The BPA-free, durable gasket is built to withstand high-pressure force, ensuring safe pressure build-up and release. The gasket is also dishwasher-safe. It is recommended to keep it completely clean and free from any cracks or deterioration. It is recommended to replace the gasket every 12-18 months. 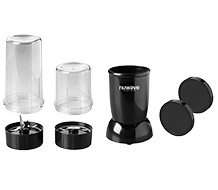 The Water Collection Box attaches to the outside of the NuWave Nutri-Pot, positioned so that any extra steam buildup or any liquid overflow will be funneled into this box and not onto your countertops. The 6-quart NuWave Nutri-Pot Owner’s Manual & Cookbook contains all of the information you need to be successful with your NuWave Nutri-Pot, including dozens of great recipes you can try at home. The 8-quart NuWave Nutri-Pot Owner’s Manual & Cookbook contains all of the information you need to be successful with your NuWave Nutri-Pot, including dozens of great recipes you can try at home. 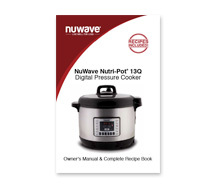 The 13-quart NuWave Nutri-Pot Owner’s Manual & Cookbook contains all of the information you need to be successful with your NuWave Nutri-Pot, including dozens of great recipes you can try at home.